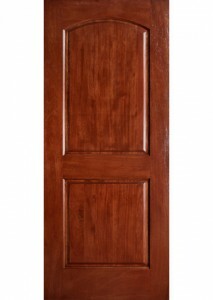 Having interior doors from Main Door Corporation installed can have a dramatic impact on the style of your residence. Our doors are created with a blend of old-world craftsmanship and state-of-the-art woodworking techniques, which achieve an appearance that is at once bold and classic. Because they are made of solid wood, the doors that we offer feature a natural warmth that simply cannot be achieved with veneered products or other imitations. Plus, they’re exceptionally strong and will remain beautiful and functional, even after years of daily use. The Mahogany Type Collection – Timelessly stylish, these doors are rich in color and have stunning natural grain variations, making them an elegant addition to virtually any home. The Rustic Mahogany Type Collection – Capturing the appearance of authentic, old-world European architecture, these doors are ideal for homeowners looking to cultivate a warm, rustic décor. Homeowners who choose our interior doors will be able to customize them to their unique tastes. For example, we offer a range of rich finishes, many different panel styles, and even custom sizing to ensure a perfect fit in your home. At Main Door Corporation, we are proud to be exclusive partners with The Home Depot, which allows our customers to easily see our interior doors in person. If you’d like to learn more about our line of products, simply visit your nearest Home Depot location today.